The California rice industry’s sustainability goal is to make the most efficient use of resources, to ensure long-term productivity from the land, and to utilize management practices to continue to enhance the environmental and societal impacts of rice production. American Commodity Company has endorsed and adopted the California rice industry’s sustainability goal. In adopting this goal, we have extended its reach beyond the farm gate to our drying, milling, packaging and shipping processes. As a vertically-integrated operation, with an overwhelming percentage of our rice receipts coming from our ownership group and growers who have a multi-year marketing history with ACC, we can now proactively undertake a comprehensive and coordinated “field to the table” sustainability program. We have installed an 11-acre solar array at our Williams complex. 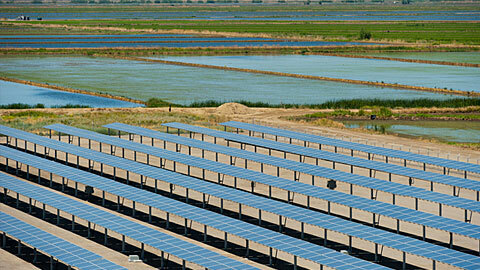 Our solar plant annually generates 1.5 megawatts of electricity—an amount that exceeds our total yearly usage. By producing more electricity than we use, we are able to operate year-round on a 24 hour, 7 day per week schedule, even during daylight hours in summer months when otherwise prohibitively high Pacific Gas & Electric (PG&E) commercial electricity rates are in effect. This maximum utilization of our employable assets reduces our per unit carbon footprint. 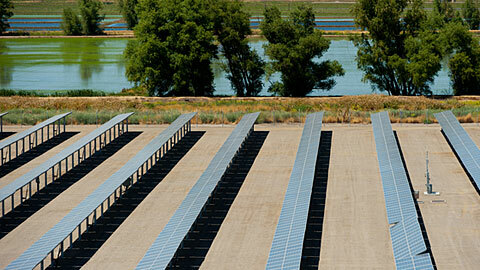 We are exploring additional opportunities to work with PG&E in expanding our production of solar energy. 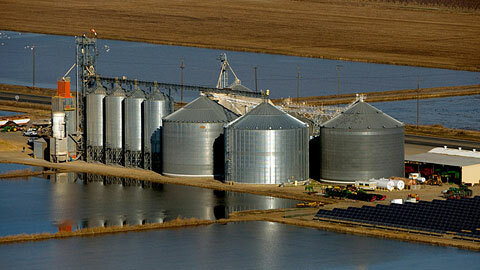 Montna Farms, owned and operated by a member of our ownership group, also has installed solar power at its short grain drying and storage facility. This solar powered facility, which is used for handling short and medium grain rice grown under contract to ACC, is electrical energy neutral. In addition to its cutting edge energy production program, Montna Farms has been the beta model for many, if not all the production, straw incorporation and biodiversity programs developed in the CA rice industry in support of overall sustainability. Today, Montna Farms continues to lead the way in all aspects of the major sustainability effort underway in CA rice production. The land comprising Montna Farms’ Dingville, CA, operation is located in the longer-term Greater Sacramento suburban development path. Rather than lose this land vital to rice production and habitat preservation, the family has enrolled the land in a conservation program that restricts its current and future use to agricultural production with biodiversity benefits. ACC has long-term contracts to sell 100% of its rice hull by-product production to Wadham Energy’s biomass facility, thus eliminating the need for the often otherwise costly disposal of this by-product, while at the same time, assuring the Wadham facility with a continuous supply of product for its energy co-generation needs. We have upgraded the major waste water system in our Williams plant to provide the most technologically advanced method of effluent disposal available to a rural enterprise. We are converting many of our branded product containers from polypropylene to recyclable paper bags. In most cases, these paper bags are being produced from post-consumable goods. Where practical, we are working with our worldwide customers to encourage them to follow our lead in this conversion to renewable resource utilization in their packages as well. At scheduled replacement, we are converting all company-owned vehicles to hybrid technology. In-plant equipment is being converted to natural gas where feasible. We are replacing lighting in each of our facilities with light emitting diode (LED) or compact fluorescent light (CFL) bulbs. We are holding meetings and communicating in other ways with our employees to encourage them to understand and contribute to our sustainability efforts. We are constantly searching for any practical way to not only reduce our company’s overall impact on the environment but also to offer good stewardship practices to our employees, our growers, our suppliers and our customers worldwide. We encourage you to become a part of this important and on-going effort.